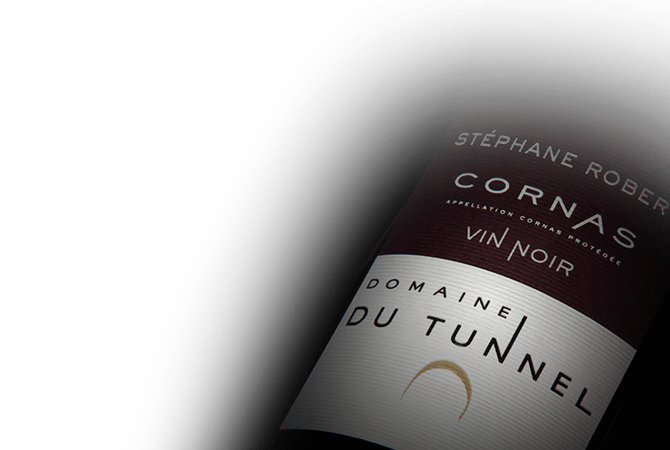 Stephane Robert created Domaine du Tunnel in 1994. The name refers to an old railway tunnel that crosses many of the estate parcels. The property spreads over five municipalities, with 10 hectares of old vines growing on superb granite and limestone slopes. Stephane Robert consistently creates benchmark wines in the Saint-Joseph, Saint-Peray, and Cornas appellation. Vines are cared for manually (with as little interference as possible) and grapes are matured with impeccable precision. The rigorous and meticulous work showcases perfect fruits and reflects each terroir owned by the domain. Stephane Robert aims to present wine wich combine concentration, elegance, and finesse.